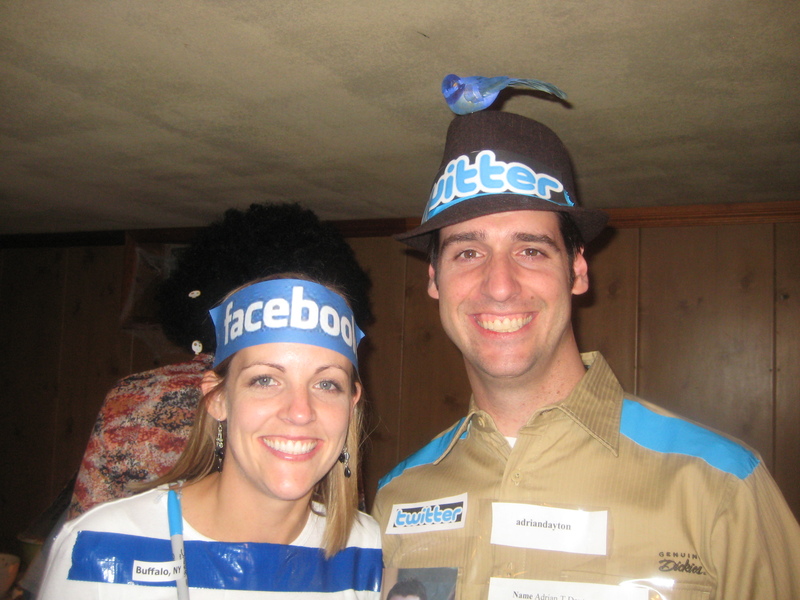 So my wife and I have been married for going on 4 years this December and a few weeks ago my wife complained to me that, “We NEVER have creative Halloween costumes.”Â So this year, in order to appease the boss, we designed “The Social Media Couple” costume.Â My wife is dressed stylishly in her Facebook Halloween Costume, while I myself am sporting a Twitter Halloween Costume matching the accents on my personal Twitter page: http://twitter.com/adriandayton. 2. Party attendees pictures, “friends” along the arms. 5. And on her back- you can write on her wall. 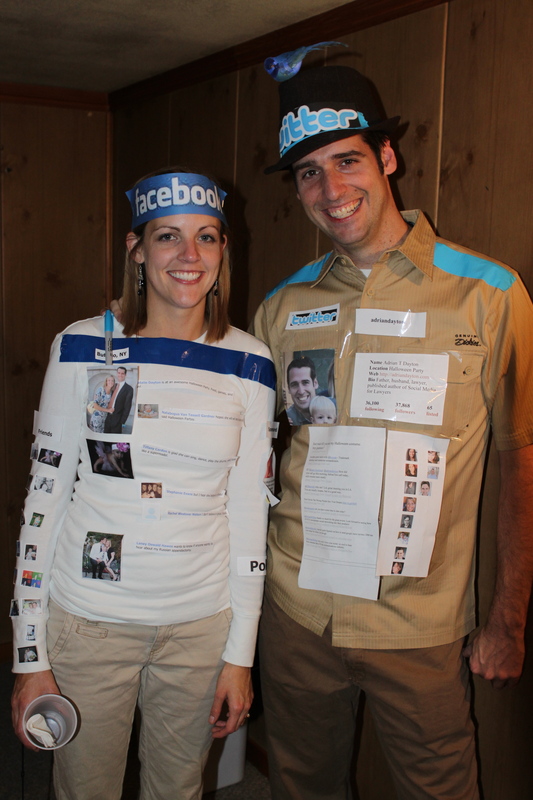 Long story short, we were the unanimous winners of the “Most Creative Costume” award. We won a huge caramel apple. Well worth the 3 hours it took to put our costumes together. If you need a married couple Halloween costume idea, feel free to use ours. That is hilarious. 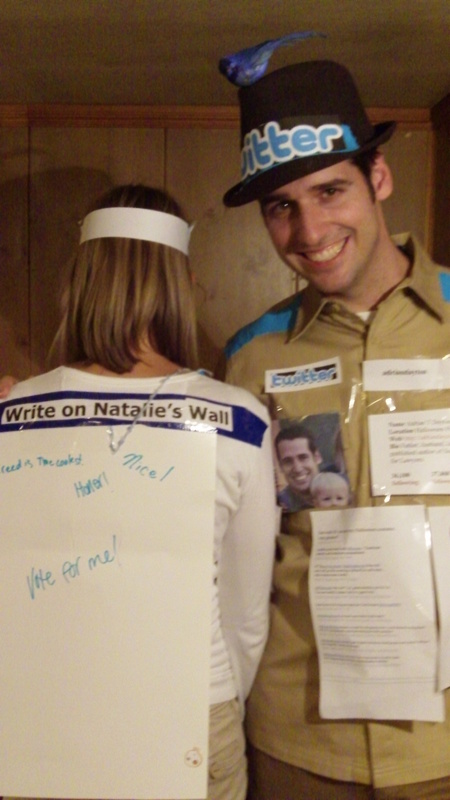 Very funny and creative costume. I am going to have to forward this to my wife. She is going to crack up. She has recently become a facebook fanatic, but she doesn’t know a thing about twitter. I am just starting to figure twitter out myself. I try to not let it be a huge time sucker. Nice going on the costumes. I’m so glad this reappeared! I love it!! Thanks Gian, glad you liked it.